There's going to be a fantastic week of agile programming activities in this area this coming January! Begin with The TurboGears Jam in Ann Arbor, MI, Jan. 14 - 16. On the 17th, drive two hours southeast to Sandusky, OH. Then, Jan. 18 - 19, attend CodeMash at Kalahari Resort. I don't know if they planned these events to dovetail so well, but Bruce Eckel is deeply involved in both, so perhaps they did. This Friday, there's a conference at Sinclair Community College here in Dayton (and other sites in Ohio) called We Are IT Day, designed to encourage high-school girls' participation in information technology. They're still accepting "lunch buddies" - technology professional women who can chat with a small group of girls over lunch. And, if you know a girl here in Dayton who should be there, try to make sure she can go! In my post on "Oracle-free Oracle access", I speculated that using IronPython with Oracle's .NET tools might be an effective way to access the database, but I'd never actually tried it. Since then, I've been contacted by two people who've not only done it successfully, they've written up nice descriptions with code. I recommend both blogs - they're in my feed reader. 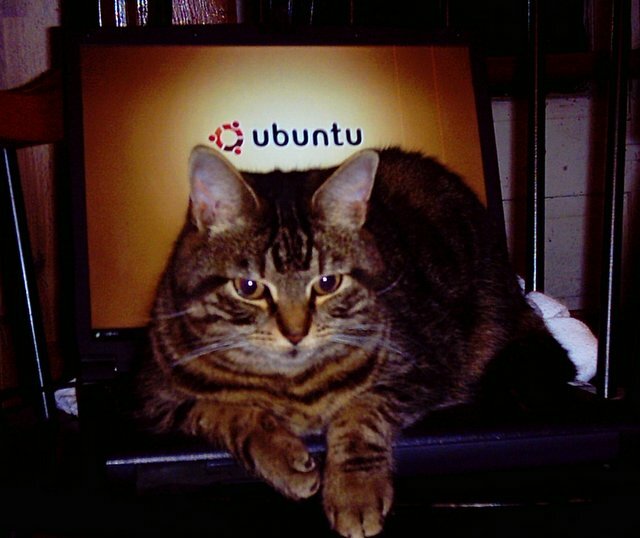 Here follows the code for a simple IronPython program which enables the interactive input of SQL statements and output from an Oracle database. I use the ODP, which apparently is included with Oracle 10g XE, because I have not installed it separately. In addition, I use the well-known HR demo schema. 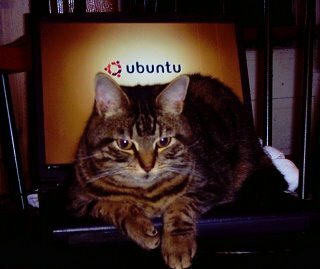 Our kitty knows his Linux. This weekend saw the fulfillment of a lifelong dream - I got TurboGears working against an Oracle database! For general information, I recommend the ToDo list tutorial and Splee's post on SQLAlchemy/TG. But there are some particulars you'll need to know to work with Oracle... so here's a super-basic example to demonstrate. you'll know you needed this parameter set. There - you're listing data from SCOTT.EMP! You can, of course, manually define the columns of your tables; using autoload is simply more convenient and error-proof. It'll only work against tables that have a primary key, though. If you don't use autoload, you don't need to call bind_meta_data in model.py. TurboGears has recently added SQLAlchemy, as an alternative to SQLObject, for its database-access layer. I don't know much about their relative merits, but it seems like SQLAlchemy may be more friendly to a database-centered (as opposed to object-programming-centered) point of view. In any case, SQLAlchemy has Oracle support, whereas SQLObject's Oracle support still hasn't been integrated into the main codebase. Thus, I'm using the SQLAlchemy flavor of TurboGears.